Teaching phone skills to your little is an essential part of any parent’s duties. Kindergarten is not a young age, in today’s world, to teach kids about social skills of talking on the phone, or how to dial somebody’s number. 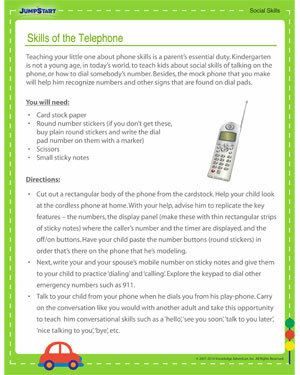 This activity will help you make a mock phone that will help him recognize numbers and other signs that are found on dial pads.